In 2011, SecureView Australia was named among the top 100 Australian fast starters by business magazine BRW. When SecureView came to enso they had a fantastic product but no clear brand position. 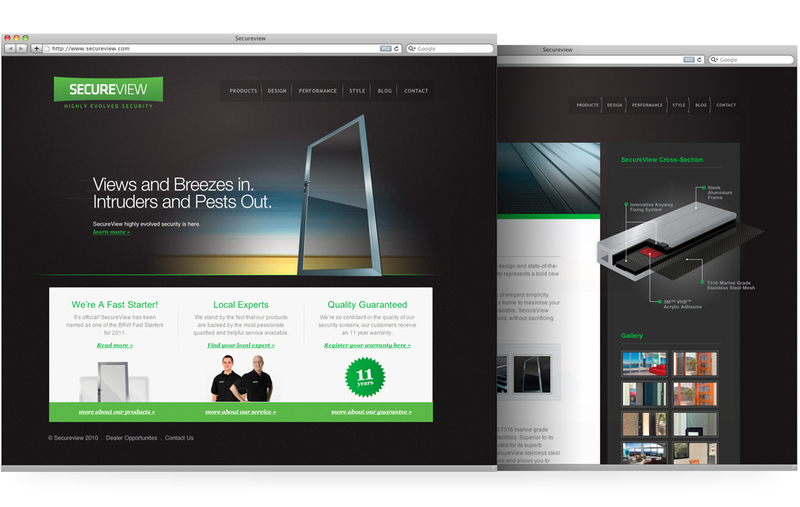 Our objective was to find a clear position for them and create the brand imagery to communicate this effectively. 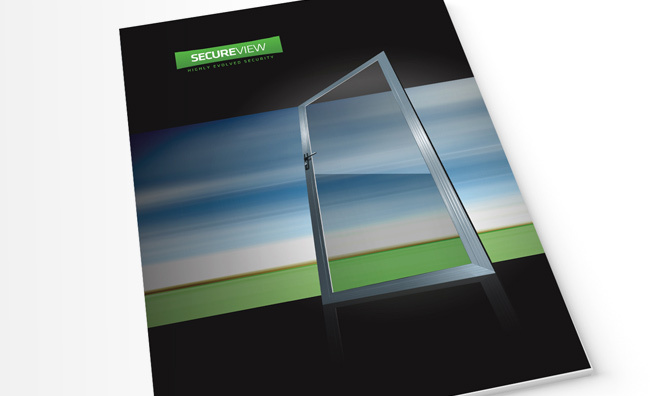 We developed a full corporate ID as well as many offline and online communication pieces for SecureView Australia. 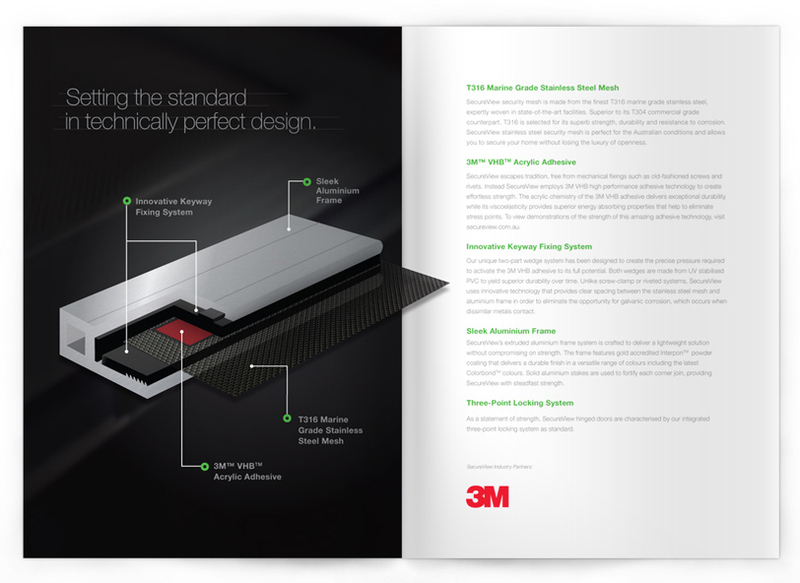 Highly evolved security, products are presented as desirable technology. 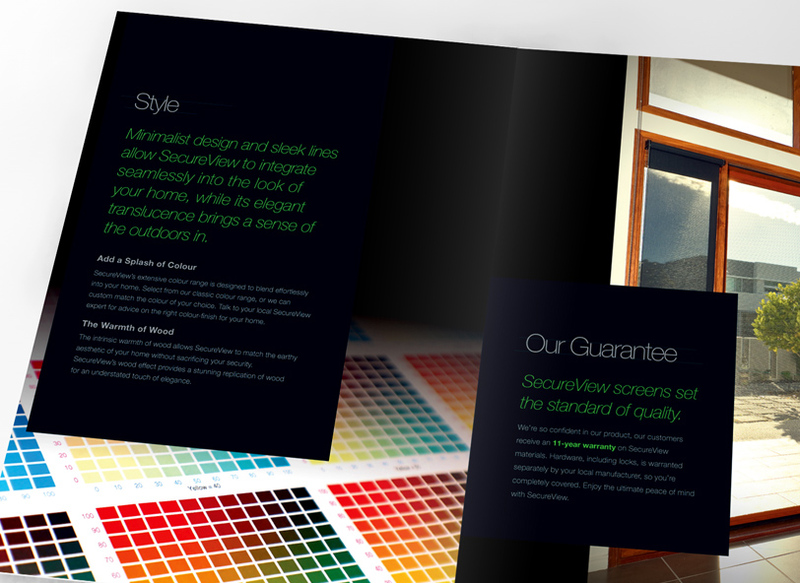 Secureview brochure, clean and modern. 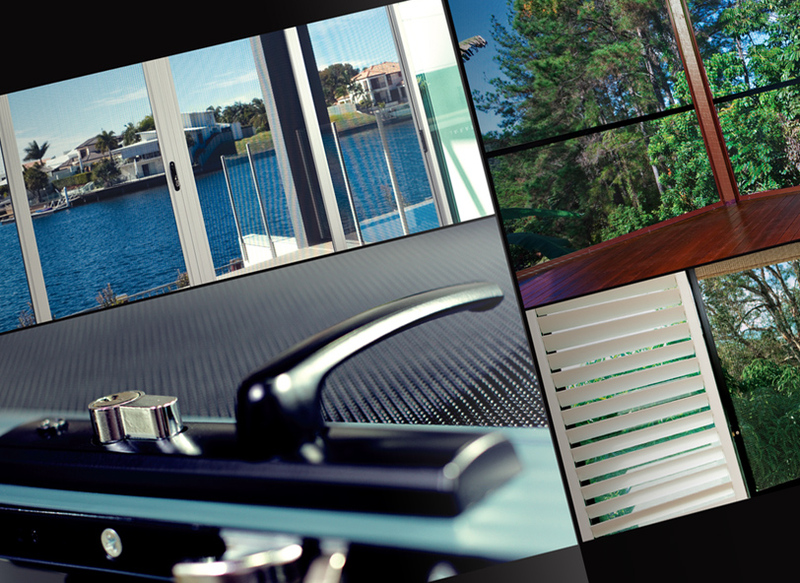 Product photography was taken across a range of locations. Highly evolved security, 3d illustrations of the product components. 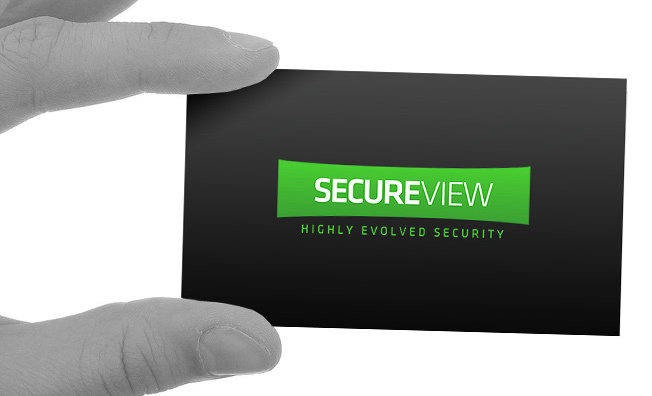 Secureview website, clean, simple and bold. 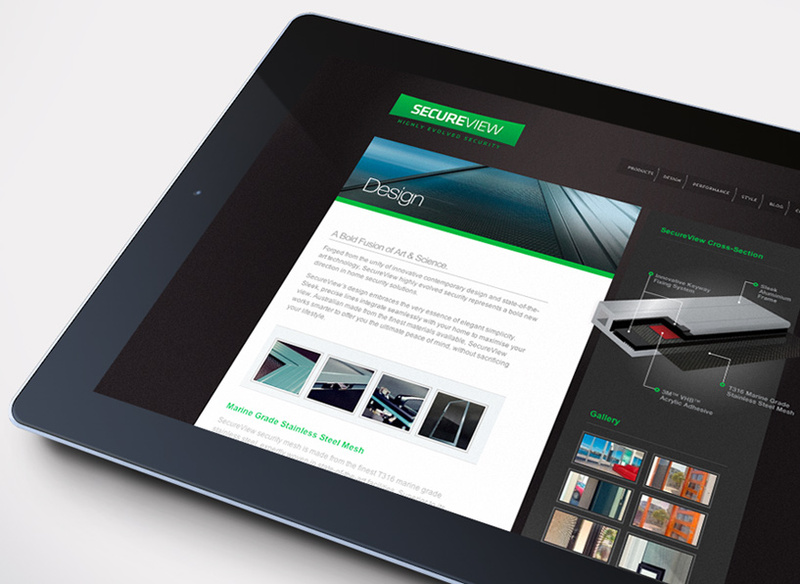 Secureview website, interactive galleries and product finder.